Getting to peak condition is never an easy road, especially if you don't have the knowledge to get there. Once Frank knew how, he did. Learn from him! I was an obese child, the token fat kid. Around 7th grade I got fed up with the teasing and negativity, so I ate cold turkey and dropped all my body fat, not exactly in the most bodybuilding friendly way. Then instead of being fat, I was a stick. I had no fat, but no muscle either. I wanted to gain weight, but my biggest fear was becoming the fat kid again. 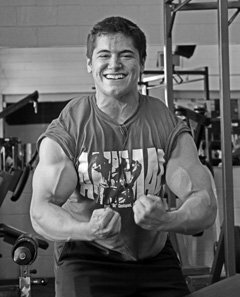 After looking around the Internet, starting to look at all types of bodybuilding websites (like this one) and starting to gather information - I was bitten by the iron bug. It's been 3 years since then, and I haven't looked back. On June 18, 2011, I competed in my first bodybuilding competition, the 2011 NPC Connecticut State Championships. I won the 16-17-year-old Teen class and the Lightweight Open class. Not bad for my first show! NOTE: On last set of every exercise do 1-2 drop sets until complete failure, unless noted otherwise. Done for 20-30 minutes, 3 times per week offseason and up to 2 times per day pre-contest. 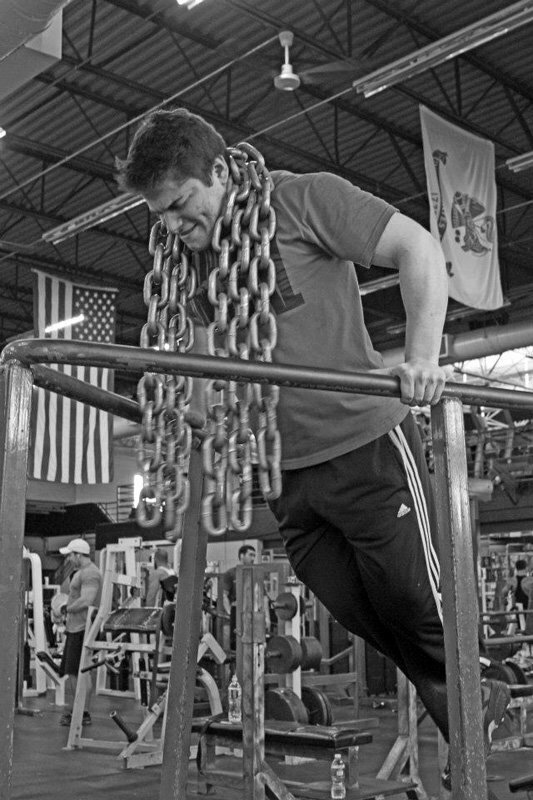 Weight training does not differ from offseason to pre-contest. Fat boys can get thin; skinny guys can get huge ... if they work! What Nutrition Plan Works Best for You? Meal 1: Breakfast 7:00 a.m. Meal 4: Pre-Workout 3:30 p.m. Meal 5: Post Workout 6:00 p.m. Meal 7: Before Bed 10:00 p.m. There are too many reasons to count, but I'll keep it short. Overall, this sport makes you a more disciplined and driven person. I am a goal-oriented person, so nothing suits me more than contest prep; it's the hardest thing a person can do! AND swimming class wouldn't have been half as fun this year without pumping some iron and eating plain chicken! Being an overweight child, I know firsthand what it's like to be overweight, out of shape, and run down. My main motivation for a healthy diet and exercise is so I never have to worry about going back to THAT again. And like I said, I love bodybuilding and I love working out, a healthy lifestyle comes naturally. When I put my mind to something, I give nothing less than 100% effort. I have always been a goal-oriented person which has its obvious benefits when it comes to competitive bodybuilding. 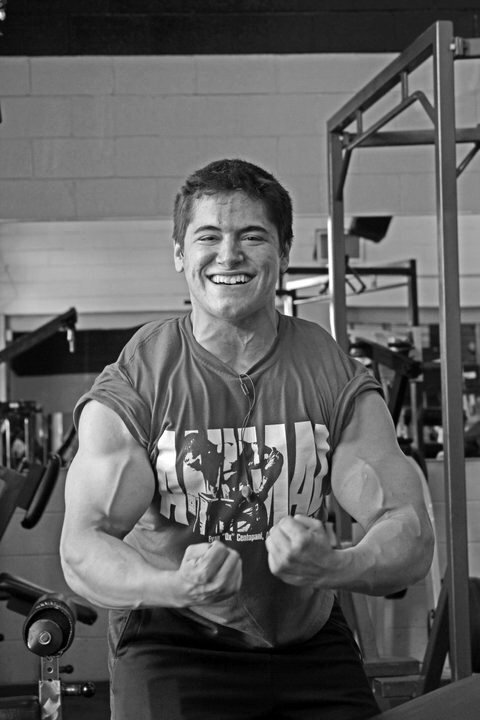 Being highly self-motivated, wanting to make a change in my physique, and (like most high school guys) looking good for the ladies have been huge motivational factors toward my success. Right now I'm starting what I hope to be a long and prosperous offseason. When my schedule allows me to dedicate myself fully to contest prep again, I would love to do more shows and continue to progress through the amateur ranks. To try anything and everything until they find what works best for them. 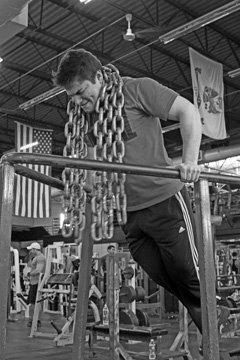 In bodybuilding no one person has all the answers and there's always a million and one ways to perform an exercise. We all have different bodies, so experiment and let your instinct decide what you think is right for you. Evan Centopani, Tom Platz, Dorian Yates, Phil Heath, and Kai Greene. I'm always looking through the store for the best deals on supplements and I can spend hours looking through the SuperSite; so much information in one place!